In today’s episode, we’ll be looking at font pairings and how you can play around with different combinations to complement your designs. 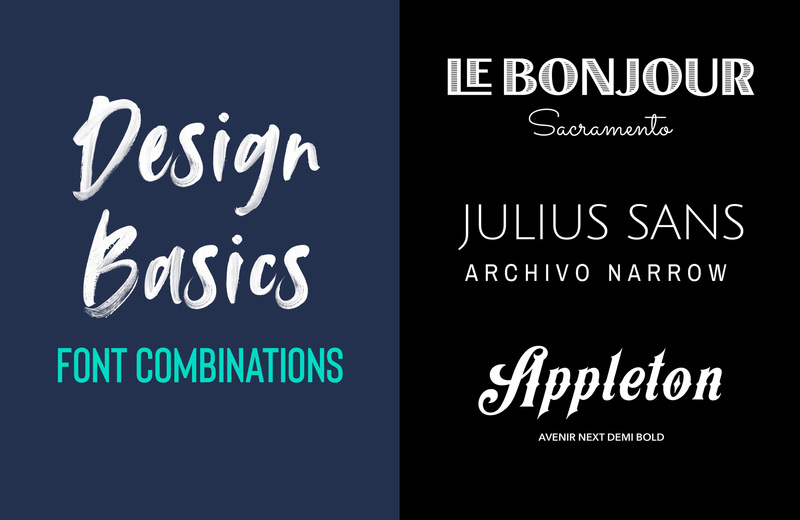 Type is a big part of a design’s aesthetic, so today we’ll give you tips and examples of typefaces that will work well together. Once you have your fonts lined up, you can have fun experimenting with their size, weight, and colour. Design Cuts products used in this tutorial: Le Bonjour by Vintage Voyage Design Co.
Hi, im very new to digital, do i need a special program to use your items? like photo shop etc. Thank you so much for taking the time to write a comment and it’s super exciting to hear that you are new to digital design- we hope that you have loads of fun learning new things :). When it comes to software compatibility, it really depends what type of resources you are wanting to work with. Fonts are a really versatile resource, and can be used in all design based programs, including Microsoft Word. Some of our products will require specific design software, and there are so many alternative design software options to Adobe Photoshop or Illustrator that you can check out which may suit your projects. If you have any design software already installed on your computer Carol, please let us know and we can certainly help you further with this so that you can get the most out of your resources! I have just sent you an email so that I can find out more about what you would love to create with your resources and help you get up and running with your new design ventures!